PayU India’s CEO, Amrish Rau is to shift to their South African parent company, Naspers as head of financial technology partnerships and investments. 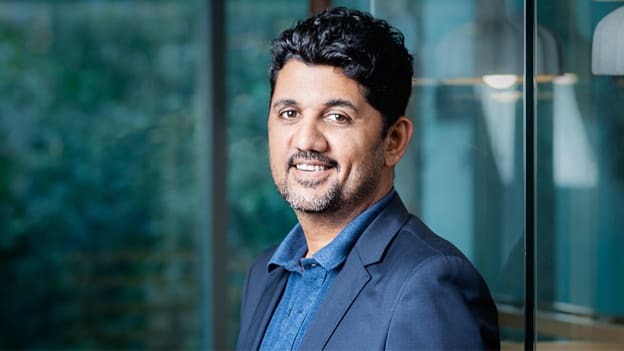 According to reports of an internal communication rolled out to employees, Netherlands-headquartered PayU India’s CEO, Amrish Rau is to shift to their South African parent company, Naspers with a wider role span as head of financial technology partnerships and investments. This shift would entail the appointment of a new Chief Executive Officer for PayU. With the scope of digital payment firms increasing worldwide and especially in emerging economies, it would be interesting to see who will be brought in as Rau’s replacement. Naspers seems rather optimistic about the potential of fintech disruptions in India and Rau’s broadened role would be in synch with their attempt to drive acquisitions and partnerships, develop a stronghold and dominate the Indian fintech market which currently has strong players like PayTM. While Rau will continue to report to Laurent le Moal, the CEO of PayU, the email shared with employees states that Rau will be scouring the market for fresh acquisitions and create synergies amongst the group's portfolio companies. Among other pieces of information shared by the company, Shailaz Nag is to head the offline business and is to focus on enabling BharatQR codes for offline vendors. Jitendra Gupta, MD at PayU India, will head the credit product, LazyPay while Rahul Kothari is to lead the enterprise business. Rau, having worked across major payment companies like Firstdata and NCR Corporation before joining Citrus Payments (that was acquired by PayU), was able to help PayU transition into a payment gateway company to reckon with in India while also boosting its market share in the online commerce space by 50%. With three lakh merchants in India, PayU India could be valued at $2.5 Bn and has been investing in startups like ZestMoney and PaySense. With products like LazyPay that allows users to accumulate bills and pay later in a bulk, PayU seems to be making inroads into the digital payments space from more than one angle. How will the leadership team sustain these efforts in a space that is severely competitive? What are the skillsets required for being able to lead and be a part of these new-age products? These are questions that would be answered as the digital payments story unfolds further.